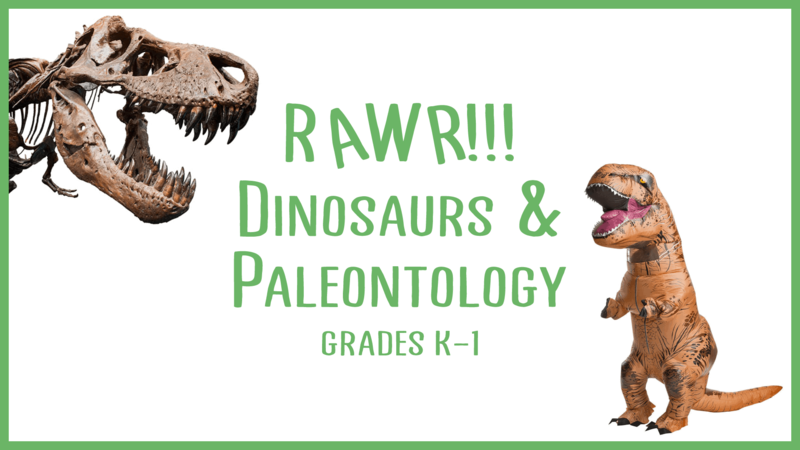 Are you a mini Paleontologist? Study the past through fossils! Touch real fossils and create model fossils of your own! Learn about types of dinosaurs, how they lived, and what might have happened to them. We will even conduct our own excavation with a dino dig! This class is for Mini Nerds entering TK, Kindergarten, or 1st grade. Your kiddo must turn 5 by December 31 of this year and be able to handle a school classroom environment.